Going for the One saw a slight change in direction for the group. Instead of three or four long extended pieces like on their last three albums, we now have just one timing in at more than 10 minutes with four songs ranging from 3:45 to 8:58. Either the group was growing tired of making long epics or they felt a need to shorten their material to get more radio play. I haven't read enough books to know why they did this. It was a trend among prog groups in the late 1970s. Going for the One also saw the return of Rick Wakeman. This of course wasn't the last time Wakeman would come and go. Even though there are shorter songs on here, they are still very enjoyable, with the fast-paced, rocking title track and the beautiful Wonderous Stories. Even so, the best track is the 15+ minute Awaken, a track as exceptional as the group's previous epics. Musically the band are still at their prime and each of their individual talents shines brightly on Going for the One. Not as good as their previous masterpieces, but clearly much better than Tales from Topographic Oceans, and one of the best prog releases from the latter half of the 1970s. An excellent addition to any prog collection. 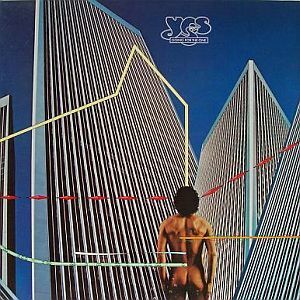 If you're new to Yes, start with The Yes Album, Fragile, Close to the Edge, and Relayer before picking up Going for the One. Four stars.